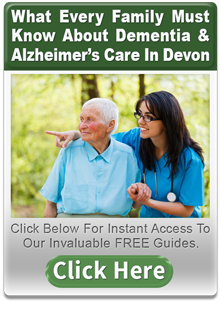 Welcome to www.DevonDementia.org your guide to everything about dementia in the East, Central & South Devon areas. If you think you or your loved might have dementia, or your have already been diagnosed with the condition we aim to provide all the information and practical support you’ll need. Living with the condition is not easy and can be a lonely and stressful situation. But you don’t have to cope alone. On the site we’ll be listing all the local organisations and resources where help with dementia and Alzheimer’s is available. A great place to start is by downloading one of our Free Guides. We’ll also be publishing useful news articles and information about Alzheimer’s and Dementia so please visit regularly for updates. Finally we’d love to hear what you think of our articles so please leave a comment. We’d also love to know what you want to know about or how you need help so please don’t hesitate to get in touch. A scheme to evaluate the effectiveness of providing a GPS (Global Positioning System) locator to people diagnosed with dementia has been launched by the Torbay and Southern Devon Health and Care NHS Trust. The trust will provide a GPS locator, free of charge, to a hundred people in the Local Authority areas of Torbay, Devon and North Somerset for a 12 month period in the hope of prolonging the time they will be able to live independently. Losing sense of time and place is a symptom of dementia and one of the main fears carers and family members have is that a loved one will wander off and get lost. Equipping the person with dementia with a GPS device linked up to a call centre can provide considerable reassurance to loved ones knowing that the person’s whereabouts can be located if need arises. People who sign up will be asked to nominate “responders” who would be able to alert the call centre 24/7 should the person go missing. The signal from the device could then be tracked to indicate the person’s whereabouts, enabling them to be safely re-united with their carer. Similarly, an SOS button on the device can be activated by the user themself to summon help if they become lost or distressed. It is hoped that the scheme, which is being funded from grant money provided by the Prime Minister’s Dementia Challenge Initiative, will provide valuable long term information about the possible impact of GPS locators. Will it reduce the numbers of calls to 999 for instance? And will it lengthen the time those with dementia can live at home independently rather than having to resort to residential care? The project has the backing of Devon and Cornwall Police, who would be contacted as part of the scheme by call centre staff if the call needs to be escalated, in which case it would be categorised as an emergency. “The impact of having a family member who is unable to look after themselves go missing is immense to say the least and the relief of knowing they have been found safe and well is euphoric. 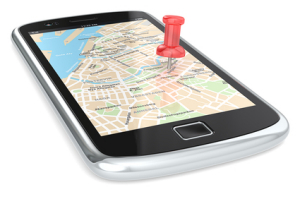 Put that together with the peace of mind people have when a loved one has one of these location devices, knowing if the worst happened, they could possibly be found in minutes and we have a peace of mind never known before. The scheme is open to people living in the local authority areas of Torbay, Devon and North Somerset. Anyone interested in signing up to the scheme should contact Lauren Mallandaine, Dementia Challenge Project Officer, telephone 01803 321139 or email lmallandaine1@nhs.net. Click on the link here to find out more from the Torbay and South Devon Health and Care NHS Trust website. Devon has one of the highest rates of Dementia in the UK and as the number of people diagnosed with the condition continues to rise, the need for good quality advice relevant to the local area has never been higher. One Devon couple are on a mission to provide just such a service. Back in April, Elaine and Norman McNamara set up the Purple Angel Dementia Centre in Paignton to provide advice, and signpost people to dementia services available in the local area. Having witnessed its success first hand, they have now opened another centre in Exeter. A NEW dementia drop-in centre inspired by a Torquay couple has opened in Devon. The Purple Angel Dementia Centre in Exeter was officially unveiled by TV personality Judy Spiers. It follows the opening in April of the first Purple Angel in Paignton. The original ‘Angel’ is Elaine, partner of Norman McNamara, who is living with Lewy Body Dementia. Norman said: “The people who attended the opening were some of the most genuine, hardworking people in the field of dementia I have ever met. “We had co coordinators from local memory cafes, authors of carer advice books, and also an author of a dementia activities book, a solicitor who will advise on power of attorney, a sister from a local hospital who also runs a dementia friendly holiday home, management of Day Lewis chemist, steering group members of the Torbay dementia action alliance, Purple Angel dementia leadership group, and of course the unstoppable Judy Spiers BBC Presenter who opened it all for us. The Centre at Day Lewis Chemists, 88b Beacon Lane, Exeter will be open from 10am till 12pm every Thursday with a volunteer there during these times to answer questions and signpost people to local dementia services. The information table will be there six days a week and chemist staff will be more than happy to answer any questions on medication for dementia. Designed by Care Home Website Design..